There is no shortage of culinary delights in Turks and Caicos and each restaurant offers its own attractive ambiance, distinctive flair, and impressive menu of tempting, rich and flavourful dishes. When you book a vacation with us, we’ll make reservations for your clients at these fine establishments. Infinity Restaurant & Raw Bar is the premier gourmet oceanfront restaurant on Providenciales, featuring fresh ingredients and modern presentations. The ambiance of this restaurant reflects the sophisticated chic atmosphere of the islands where guests can dine enjoying the sound of waves from the nearby Grace Bay Beach. The winner of a Certificate of Excellence from popular travel site Tripadvisor, happy and satisfied clients rave that Caicos Cafe offers, “……..a crescendo of amazing flavors,” while serving up “…..heavenly” and “……outstanding” dishes. Over 600 mostly positive reviews can’t be wrong! For an evening to remember, head on over to Caicos Cafe and treat your tastebuds to all that is delectable and delicious. Coyaba is an elegantly appointed gazebo style restaurant in a lush tropical garden offering fine eclectic contemporary Caribbean Cuisine. At Coyaba (an old Arawak Indian word meaning Heavenly), we are absolutely passionate about food! The Chefs enjoy preparing new and inventive dishes along with old classics with a ‘twist’ for your dining pleasure with a very romantic ambiance. Located at the luxurious and Brittish Colonial style Point Grace beachfront hotel in the heart of Grace Bay - Grace’s Cottage is an architectural gem, replete with bright white gingerbread trim and fretwork against shades of peach/coral with lime green touches. Grace’s Cottage features picturesque outdoor seating under gazebos, on the terrace and directly under the starlit sky. Just indoors is a magnificent space featuring a mahogany bar, antique yellow walls and dark stained ceiling. The chef’s commitment to using the very best ingredients possible, a creative menu that combines fresh Caicos seafood with International favorites prepared with a Caribbean flare, plus an extensive wine list – are sure to please. Add the friendly service from the staff and we’re sure you’ll love the results! If you just want something light – its very popular to order soup, salad or appetizers in Junior’s Bar – for those nights you may not want a full dinner. Full Breakfast Menu available every day. Weekend Brunch is an island favorite & a fantastic bargain. An exceptional culinary experience featuring a blend of international flavors, spices and techniques along with the island's freshest seafood and steak. The cuisine is modern-contemporary, fused with the history of the Turks & Caicos Islands. Starting from our colonial past as a salt mining center, this salt collected by Bermudian settlers was traded from the Caribbean to Newfoundland offering a rich bounty of foods, techniques and spices. Le Bouchon is a wonderful little French bistro located in heart of the downtown Grace Bay area (directly in the Regent Village). This restaurant has an excellent reputation for lovely streetside ambiance with a European flair, great service and sumptous dishe. Enjoy island-inspired light fare, sundowners, mojitos and local brews overlooking Grace Bay. With occassional live entertainment, firepits, a tasty menu, fully stocked cocktail bar and an interesting menu, this is the perfect spot to hang for a bit, relax, enjoy the ambiance and savor your Caribbean vacation. Open for dinner every evening from 6:00pm until 10:00pm and offering stunning al fresco dining options on a wide terrace, the Parallel23 restaurant combines the best of Caribbean fusion cuisine with today’s more casual restaurant ambiance. Endless full-height French doors and a hi-tech display kitchen with wow-factor wood-burning oven invite diners to enjoy the theater of food preparation, while an extensive boutique wine list introduces even the most knowledgeable guest to a new experience. Mango Reef Restaurant specialises in fresh local flavours and seafood, with a selection of international favourites and homemade desserts. Dine over the water on the deck, indoor or patio dining. Indoor bar and oudoor casual bar. The exquisite, reasonably priced menu includes lobster in-season, all freshly prepared by French and Asian chefs. Children are welcome and the restaurant offers a dedicated children's menu including delicious desserts. Perched on the scenic shore of Grace Bay Beach, Hemingway's is an award-winning beachfront restaurant offering a casual atmosphere and elegant open air dining, complemented by a menu full of choices that are anything but ordinary. Voted as "One of the World's Best Beach Restaurants" by the BBC, "One of the World's Top Beach Bars" by CNN and named "the ideal spot" by the NY Times, the secret is out! Da Conch Shack is where it's at. 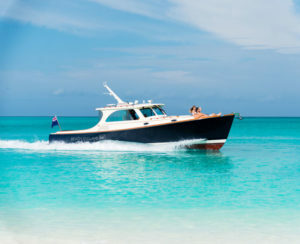 A perennial favorite of tourists, visitors and locals alike, da Conch Shack is the Turks and Caicos answer to the ideal beach bar; delicious rum punch, tasty seafood and gorgeous views of the beautiful turquoise waters and white sands of the Turks.